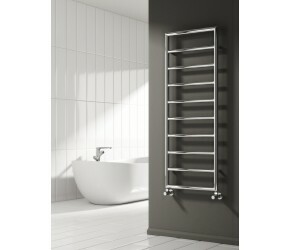 The Reina Nardo towel rail will suit either a traditional or modern bathroom. The horizontal chrome tubes are evenly spaced out to give you plenty of room for hanging towels. The Reina Nardo is available in two heights - 813mm and 1200mm and two widths - 450mm and 550mm.